Spaghetti with sauce is a staple meal in many households, and now kids can learn how to make their very own tomato sauce with this step-by-step guide. 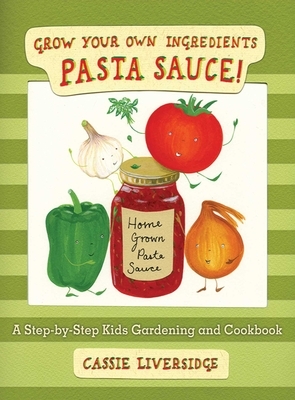 Master gardener Cassie Liversidge's cut-out art accompanies simple, easy-to-understand instructions for planting and growing tomatoes, onions, peppers, basil, and garlic—all the ingredients you need for making pasta sauce. Even kids who have never met a weed can tackle this project! Parents will appreciate reminders to wait patiently and handle buds and flowers gently; kids will love the jokes scattered throughout the book. (Why did the tomato blush? Because he saw the salad dressing!) Budding chefs will love following this easy guide and will take pride in each step of the culinary process, from planting tomato seeds to serving a delicious meal!